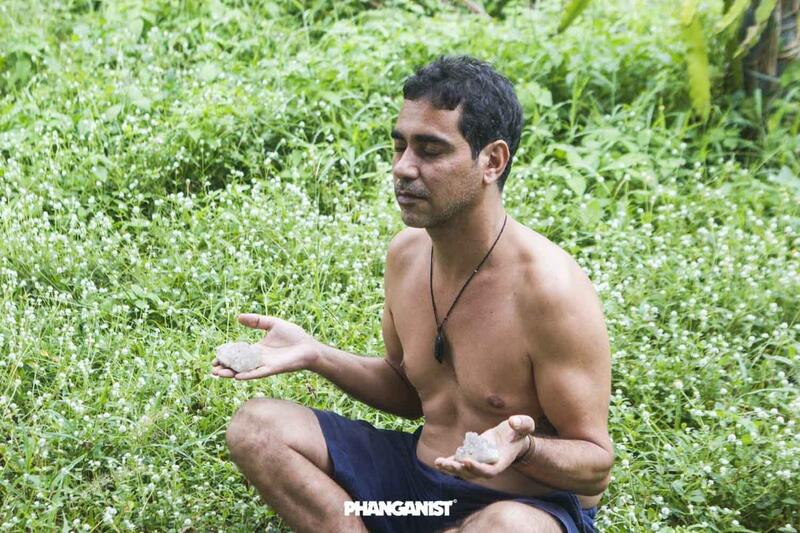 Koh Phangan Yoga and Healing Guide. Koh Phangan has always been a magical place. Thailand’s King Rama V was a frequent visitor during his time and would often visit the wonderful Than Sadet waterfall where he left an inscription on one of the rocks. The special energy is rumoured to come from Koh Phangan being made of quartz crystal which sends out vibrations that affect us all and can be good for healing, you can find many beautiful crystal shops with knowledgeable healers who can help you with information in crystal healing. You may hear amazing stories of people curing themselves of ailments just by living here and enjoying a more natural lifestyle or change in pace and diet. In recent years Koh Phangan has become a top destination and one of the main centres to come and practice or learn yoga. Agama Yoga was a key reason and instigator for this after landing its headquarters here in 2003 which to this day attracts many students from all over the world. ‘Agama returns to the primary sources of Yoga, restoring the original meaning to the Yoga system: the complete development of the being for the aim of attaining spiritual liberation. Through systematic teachings based on curricula that become more and more advanced, progress is assured to all sincere practitioners’. 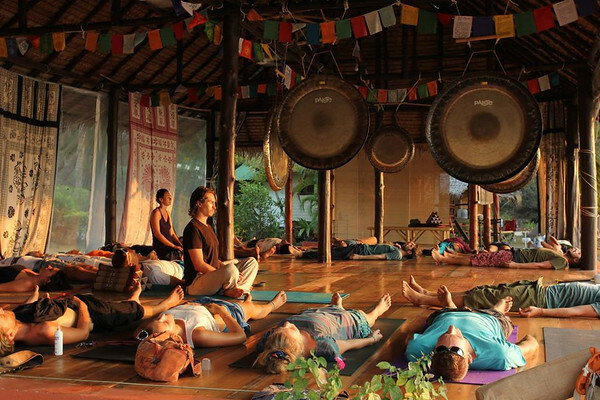 Koh Phangan has many successful yoga schools and teachers including Samma Karuna, Gaia Yogashala, Orion and Siam Healing Centre which all offer quality courses and classes from Tantra, Mindfulness and many more subjects. You can find courses in meditation at many of the schools or visit one of the island’s silence retreat’s for a short or week long silent meditation which can be very beneficial. At Wat Samai Kongka Temple you even have the opportunity to learn meditation with Phra Olarn there. Phra Olarn is a wonderful monk who has worked hard to get to where he is today and has recently felt himself ready to share this knowledge with others. Koh Phangan is also famous for massage and has many different techniques to chose from as well as the traditional Thai technique. Massage can be very beneficial in healing and also just if you want to relax, many Muay Thai students also have a regular massage to help relax their muscles. Koh Phangan has a nice holistic healing community and many of the Thai locals are very experienced in the healing effect of natural herbs and foods alike. You can find homemade natural remedies like oils all over the island. If you would like to participate in some yoga or healing then a good place to start is Sri Thanu where most of the main yoga schools are based. This area is a mecca for vegan and vegetarian food. Places like Eat.co offer superb vegan comfort food that has the ability to satisfy even a meat lovers palette! The whole of the island has something to offer if you are interested in Yoga and Healing but the west coast is a great place to start.